DACA is an acronym that stands for the Deferred Action of Childhood Arrivals. It is a program put into place during the Obama administration that allows children of immigrants, who themselves are not legal citizens, to keep getting the education and employment in America that they deserve as humans with natural rights. The Trump administration wants to rescind DACA, which could upend more than 600,000 people. About 690,000 young adults are currently in the DACA program and there are 34,000 additional first-time applications. To be eligible, applicants had to have arrived in the US before age 16 and have lived there since June 15, 2007. They could not have been older than 30 when the Department of Homeland Security enacted the policy in 2012. DACA recipients have been able to come out of the shadows and obtain valid driver’s licenses, enroll in college and legally secure jobs. They also pay income taxes just like any American citizen. However, the program does not give them a path to become US citizens or even legal permanent residents. Fortunately, under DACA, Dreamers, the term for those in the program, were able to apply to defer deportation and legally reside in the US for two years. After that, they could apply for renewal. The Trump administration put an end to new DACA applications in September and accepted renewal applications for another month which means that if Congress doesn’t act, starting March 6, as many as 983 undocumented people could lose their protected status every day, nearly 30,000 people a month, on average, for two years, as DACA permits start to expire. “It’s wrong because it’s bad policy that solves no pressing problem and raises new ones. It’s wrong because it’s irresponsible, passing the buck instead of offering sensible solutions for immigration reform. Most of all, it’s wrong because it’s cruel to send these young people to places many of them have never lived and do not know. For them this is home. The United States is their home,” Bill Clinton said. Getting rid of DACA hurts the economy as well. A report from the Center for American Progress found that 87 percent of DACA beneficiaries are using their work permits and 83 percent of those working also attend school. Besides lost tax revenues, American businesses would face billions in turnover costs, because employers would lose qualified workers whom they have trained and in whom they have invested. “Why would you take people out of the work force, who are part of the system and paying taxes?” Moody’s Analytics chief economist Mark Zandi told the New York Times that five years after DACA is repealed, the U.S. gross domestic product would be $105 billion lower than if DACA were to remain in force. “Our economy would lose $460.3 billion from the national GDP and $24.6 billion in Social Security and Medicare tax contributions” if DACA is ended. Rescinding DACA is not a legal requirement, and is wrong on many levels. It is wrong for our country to push out Dreamers for a choice that was not theirs. They did not choose to be born in a country that was oppressing to their families, and they did not choose to immigrate to a new country when they were just young children. They deserve the same human rights as any legal citizen, and they do not deserve to be deported to a land they do not know, a land they can not call home even if they were born there. DACA by Sophie is licensed under a Creative Commons Attribution-ShareAlike 4.0 International License. This is such a controversial topic and you attacked it graciously. The quotes you have included really help justify your argument. I really liked your conclusion and how you stated, ” They did not choose to be born in a country that was oppressing to their families, and they did not choose to immigrate to a new country when they were just young children. They deserve the same human rights as any legal citizen, and they do not deserve to be deported to a land they do not know, a land they can not call home even if they were born there.”. Keep up the good work! 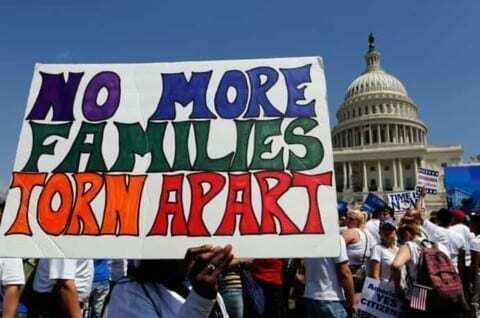 Here’s an article that discusses why we should keep DACA: https://www.theodysseyonline.com/3-reasons-americans-should-daca-odyssey . I hope to see more writing from you! I’m excited to discuss this argument and turn it to a solution. I don’t know a dreamer personally but my cousin worked so hard to pay her education as a nurse even as a person seeking citizenship. Currently there are 690,000 dreamers in DACA. In order to be eligible for the program dreamers must arrived before the age of 16. One sentence that caught my attention was, “Mark Zandi chief economist from Moody Analytics told New York Times that after five years DACA is repealed, the U.S. gross domestic product would be $105 BILLION diminished than if DACA were to remain force.” The reason of this happening is all immigrants go back to their country. Immigrants pay taxes and try to pay debts or bills in time, unlike Trump he has avoided to pay taxes. Trump is not setting a good example as commander in chief of U.S. The last sentence that intrigued me was, “They didn’t choose to be born in a country that was oppressing to their families, and did not choose to immigrate to a new country when they were just young children.” This sentence spoke out to me because it’s true it is NOT their fault; they were forced to come and these poor little ones didn’t have a clue what was going on. One thing is for sure, these children wanted to be with their parents. This situation reminds me of when my stepdad lost his job and we had to move to another state. I was five at the time and didn’t know what was happening in my surroundings. I just wanted to be with my family. Thank you for your essay. It was an honor for me to have the opportunity to read it and I look forward to reading more of your essays. Very interesting topic, Sophie. I am very passionate about this issue as well since my childhood nanny of five years is a dreamer. It scares me that the Trump Administration would rescind this very positive program full of thousands of hard-working people who have improved the economy. I appreciated that you mentioned the economy “would lose $460.3 billion from the national GDP and $24.6 billion in Social Security and Medicare tax contributions.” I really appreciated you backing up all your opinions with factual evidence, as it cemented your argument. If you would like to read more on this issue, you should read the article: https://www.washingtonpost.com/local/immigration/daca-injunction-what-a-federal-judges-ruling-means-for-dreamers/2018/01/10/ecb5d492-f60c-11e7-a9e3-ab18ce41436a_story.html?utm_term=.bf157499f8df. I hope you will write more on this topic in the future and I look forward to reading more of your work.